Services are scheduled for 10 a.m. Monday, Jan. 16, at Hermosa Church of Christ for Janice Jean McReynolds Murphy of Artesia. Murphy, 77, passed away Thursday, Jan. 12, 2017, at her home. Dean Bryce will officiate at the services, with interment to follow at Woodbine Cemetery. Pallbearers will be Lee Mitchell, Cody Mitchell, Eddie Mitchell, Brian Murphy, Jon Ross and Mike Prude. Visitation will be held from 2-6 p.m. today at Terpening & Son Mortuary. Janice was born April 26, 1939, in Morrilton, Ark., the daughter of Emmett Ross and Nina Dee (Massingill) McReynolds. On May 25, 1958, she married Talmadge “Tally” Murphy in Morrilton, and the couple came to Artesia in July 2012 from Jal. 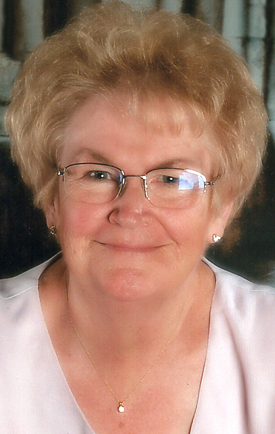 Janice was a homemaker and a member of Hermosa Church of Christ. She taught Bible class for many years and enjoyed decorating, crafting, and loving on her grandkids, and Christmas was her favorite holiday. Survivors include her husband, Tally Murphy, of Artesia; son Ken Murphy and wife Amy of Artesia; daughter Kerrie Mitchell and husband Eddie of Hobbs; grandchildren Lee Mitchell and wife Melissa, Cody Mitchell, and Amanda Murphy; and great-grandchild Norah Mitchell. She was preceded in death by her parents and a daughter, Cindy Murphy. Memorial contributions may be made to the New Mexico Baptist Children’s Home or the Hermosa Church of Christ Ethiopian Water Well Fund.